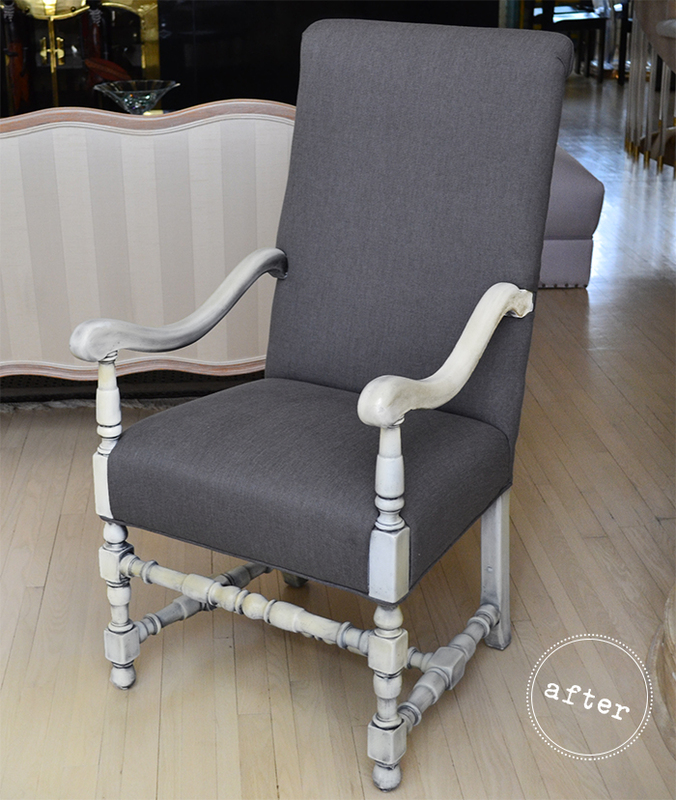 A traditional set of dining chairs get a fresh new look! Ultra-traditional and dated looking, these high quality wood dining chairs were oozing with potential. 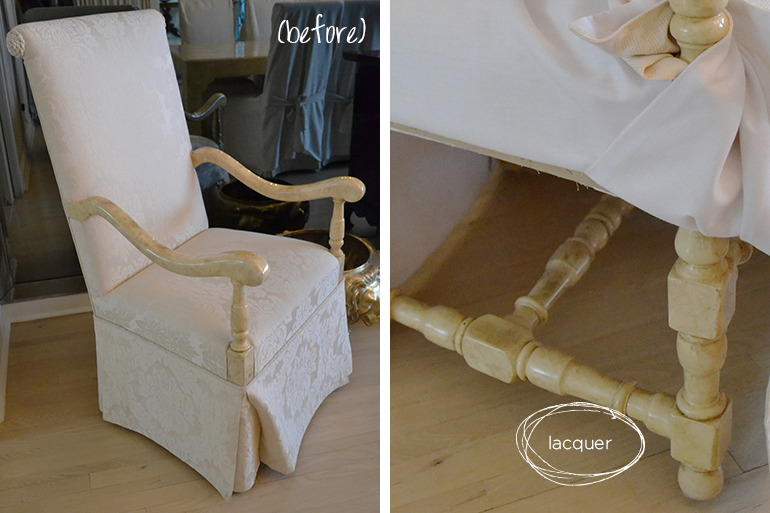 The wood, originally covered in a cream coloured lacquer is stripped and refinished in an antique white. The formal damask upholstery is updated with a crisp linen and the skirt is removed entirely for an up-to-date look. The classic roll back chairs are done in two-tones of the same linen fabric: a sea foam blue/green on the front and a soft charcoal on the back. The captain chairs are done in all charcoal, creating a crip contrast against the white frame and a fun, slightly dramatic effect. 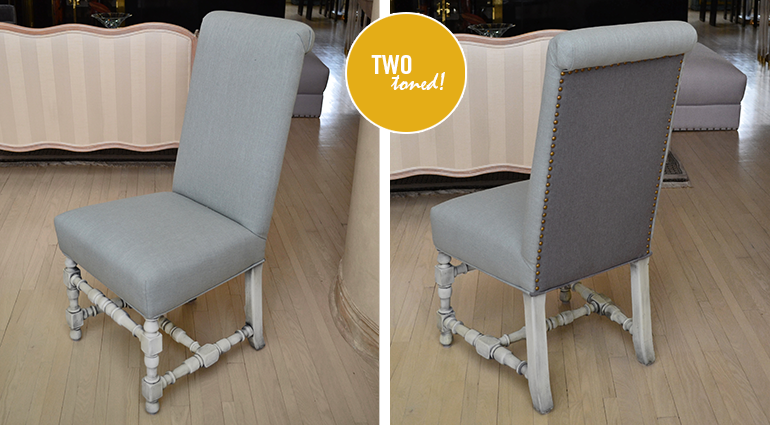 Burnished gold nail heads add interest and an elegant finishing touch to the backside of these beautiful dining chairs. 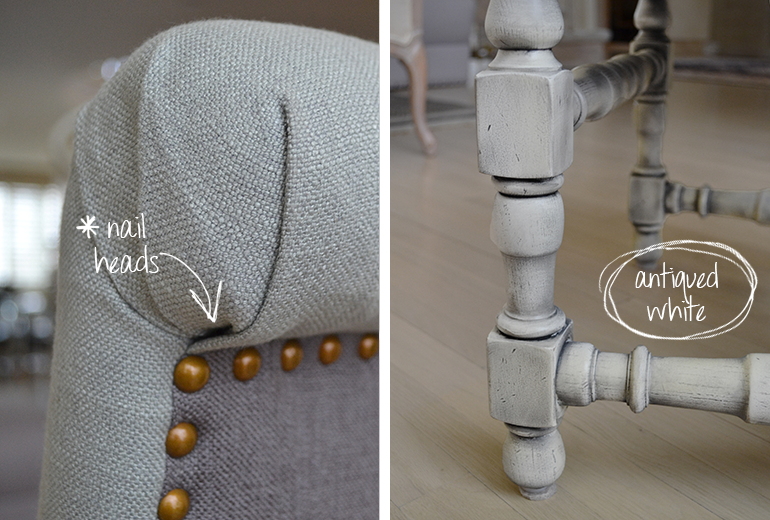 The detailed, newly exposed legs look soft and slightly vintage with their antiqued white finish.